Since graduation, your situation has changed. Isn’t it time your rate changed too? We want to pay off your existing loan, and replace it with a lower rate that saves you money. Get your commitment-free quote in 10 minutes - no impact to your credit score. Happy with your quote? Submit your application. Upload your supporting documents and finalise your loan. Set up your payments through our mobile app and you're done. We can refinance international graduates, who are living and working on any visa in the UK or eligible US states, and who studied a masters degree at any of our 285 universities globally. The currency of your existing loan can be USD or other currencies (including INR). Supported programs include business and MBAs, engineering, medical including pharmaceutical, nursing and dentistry, law and public policy, amongst others. We support working graduates on any visa, including F1-OPT, H1B, L1 and O-1 amongst others. You can check your eligibility, and get your quote, by answering a few questions here. 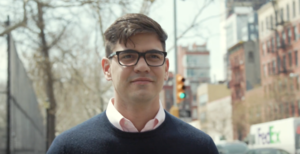 Jaime, refinanced his loan with Prodigy Finance, allowing him to cut his repayment time in half. We’re here to help employers retain the best and brightest international graduates, by giving your team a benefit with real value. Plus, you'll be helping one of your friends save over $20,000** on their student debt! Prodigy Finance reserves the right to vary or discontinue this program at any time without notice. 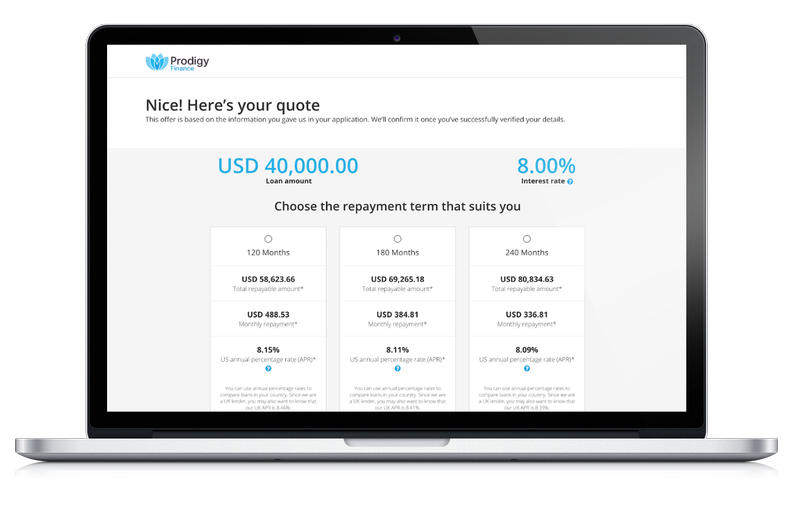 To qualify, borrowers must meet Prodigy Finance eligibility and underwriting requirements. Prodigy Finance Limited is incorporated in the United Kingdom (Company Number 05912562) and authorised and regulated by the Financial Conduct Authority (firm registration number 709641) for consumer credit activities. Prodigy Finance Limited loans are offered to eligible borrowers and the loans are governed by English law. *Saving is based on a representative variable APR of 6.46%. Savings calculation of over $20,000 is based on the following terms: i) the interest rate applicable to the loan offered by Prodigy Finance is at least 2% less than the rate applicable to the current 3rd party loan, ii) the term of the loan is the same or shorter as the term applicable to the current 3rd party loan; iii) the interest rate remains the same over the terms of the loan, iv) instalments are paid monthly before the due date, and v) no partial of full repayments are made before the end of the term. Illustrative example: Current student loan: $100,000 at 8.49% APR with 15-years remaining on the loan; compared with Prodigy Finance refinanced loan: $100 000 at 6.46% APR with a 15-year loan term. **Over the 3-month USD Libor base rate. This minimum margin rate is subject to change. If you are approved for a loan, the interest rate will depend on your credit profile, your application and loan term.